We Have Victory Through Faith! I John 5:4-5 – For everyone who has been born of God overcomes the world. And this is the victory that has overcome the world—our faith. Who is it that overcomes the world except the one who believes that Jesus is the Son of God? We experience this victory through our faith and through trusting Jesus who authored and finished our faith. 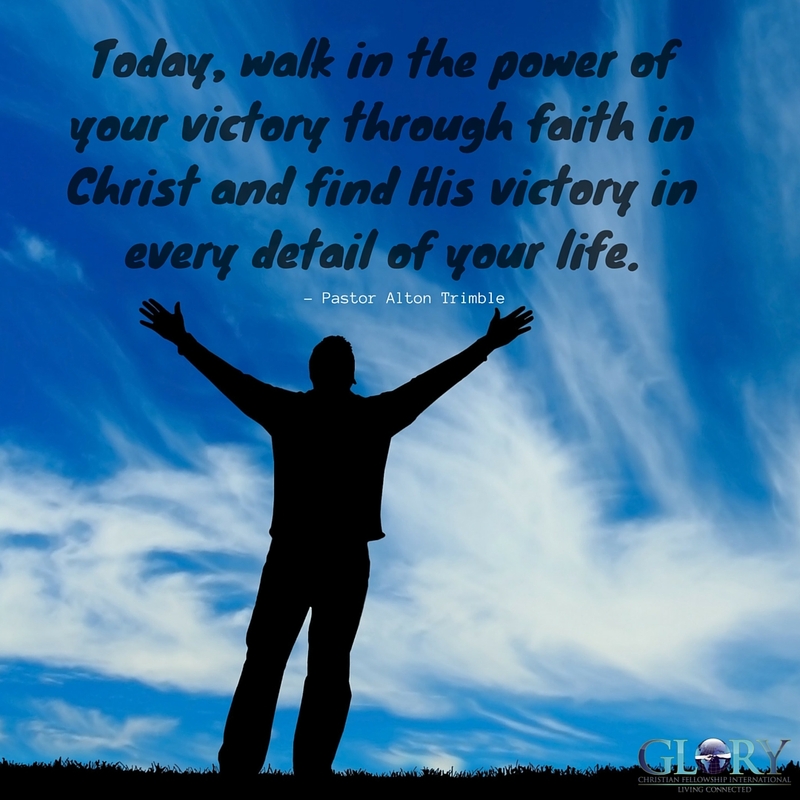 Today, walk in the power of your victory through faith in Christ and find His victory in every detail of your life. Put Your Faith To Work Today! My faith is MANDATORY for me to keep on keeping on in JESUS name, thank you LORD men. Thank you Lord for the Victory!!!! Help me to walk by faith and not by sight in every detail of my life and help others to see that I trust and believe that this Victory is available to them also who believes that Jesus is the Son of God. Thank You, Thank You, for the victories. Amen. Thank You Father for another great Manna for today. Father I thank You for allowing me and family to walk in victorious faith. Father continue to lead us to victory in every detail of our lives. Let the victory that we experience be so attractive to others that they become curious and want to experience the victory themselves. Create the opportunity and avenue for us to share You with those we come in contact with. We give You all the glory and honor, in Jesus mighty and matchless name, Amen! Throughout the Bible, God has revealed to us that faith leads to victory. I have faith in Jesus in every aspect of my life. Bless you Lord for fighting our battles and All the victories my friends and family have in our faith in you. Please Lord help us to encourage others and ourselves in trusting you more each day. I give all my battles over to you and ask for your continued direction in every detail of my and my families lives. Help us not to grow weary in well doing and leading us away from anything that detours us from you. In Jesud name amen.